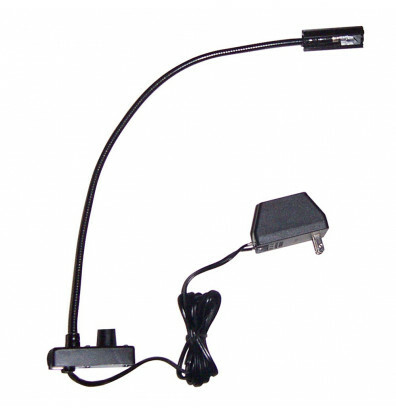 Amplivox Halogen reading lamp for lectern reading surfaces. Amplivox Halogen reading lamp for lectern reading surfaces. Equipped with a flexible, adjustable 17.5" gooseneck. Includes AC Adapter with a 12 volts / 15 watts halogen bulb. Ships fully assembled.